"Yoga Philosophy and Meditation" draws discussion of meditation from several key Yoga texts such as Patañjali’s Yogasūtra, Upaniṣads, Haṭhayogapradīpika, Visuddhimagga and corollary traditions within and without India. The focus of the course is traditional meditation techniques, but Christian also provides information on the effects of meditation on the nervous system, brain function and overall well-being. Classes begin with a description of a meditative process or perspective derived from several key meditation traditions followed by practice related to the discussion. We will explore various forms of meditation as well as prānayāma-s and visualizations as training to establish focus and well-being our whole life. A student may expect to receive a lot of new information each course, gain insight on fundamental meditation themes and train primarily in samādhi meditation. That is, each class orients students toward a deep practice of single-pointed mindfulness that resources the individual’s ability to be present in her or his life. 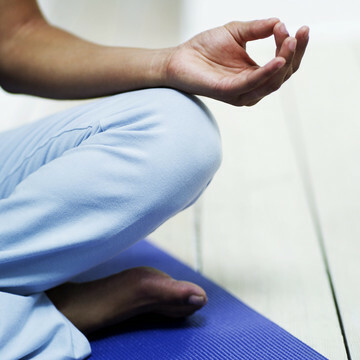 Yoga Philosophy and Meditation is part of Vuka's 6-week summer class program. Class will be held over the following 6 Tuesdays from 5:00pm - 6:30pm at Vuka. Christian Current is a longtime practitioner and student of Yoga, Meditation, World Religion, and Holistic Health. In addition to having completed numerous yoga and meditation trainings, Christian holds a BA in Philosophy and Religion and an MA in Religious Studies with a focus in South Asia. He is currently a PhD candidate in Asian Cultures and Languages emphasizing South Asian Religion, History of Yoga and Sanskrit at the University of Texas at Austin. He has taught and led meditation and mindfulness-based movement exercises at several universities, yoga schools and retreats around the country. In addition to his academic interests, Christian is a Biodynamic Craniosacral Therapist and Polarity Practitioner. Courses of the yoga and exercise have been done and performed with the support of the coaches. Most of the techniques of the yoga and american writers org review have been introducing the techniques for the judgment in better manner and methods for the candidates. Please park in our lot or in the neighborhood - just keep an eye out for neighborhood parking signs.